27 Feb 2006 – concert Crosstalk : instrumental improvisation with real-time sound and video processing. With Pascal Contet, Jean-François Piette and Xavier Rosselle. Péniche Opéra, Paris. Produced by La Muse en Circuit. Flyer. 16 March 2006 – concert Uncertain Landscapes : improvisation with computers, acoustic instruments, cameras and video projection. With Jean-François Piette and Joe Tornabene. Small Music Theatre, Athens, Greece. Flyer. 17-19 March 2006 – workshop Improvisation and real-time processing. Athenaeum Conservatory, Athens, Greece. 11 April 2006 – concert Crossroads : Impromptu meeting of a dancer/choreographer; a clarinettist/composer and a computer musician processing sound and video. Center for contemporary art of Pougue-Les-Eaux, Nevers, France. Flyer. 25 April to 6 May – student workshop Real-time digital technology for the performing arts at the Théâtre National de Strasbourg. With theater director Georges Gagneré. 29 April – concert performance with Pascal Contet (accordion) live on France Musiques program "La Terrasse des Audiences", Radio France studio 106, 3 P.M to 6 P.M. GMT+1. 3-18 June 2006 – installation Acousmeaucorps at Ircam. As a part of the NIME06 conferences. During Agora/Résonances and the Open House Weekend. See project info. Article from Octopus. Situated on Level 0, the entrance bridge. 23 June 2006 – concert with Pascal Contet at the Grand Palais, Paris. Event "Exposer la Musique vivante". Tom Mays (laptop and video), Pascal Contet (accordion) - under the Escalier d'Honneur, 18h. 26 August 2006 – concert «Quatuor d'Est en Ouest» with Pascal Contet, Carol Robinson and Wu Wei. As part of the evening Des rives d'accordéon at the Cabaret Sauvage, La Villette, Paris, 21h. Theatreonline. 20 sept. 2006 – concert line~ + conferences/workshops, Europeen Summer University of Poitiers, planetarium of the Espace Mendes France. With Francis Faber & Mathieu Constans (meta-instruments) and Xavier Rosselle (saxophones). Program (fr). 24 oct 2006 – Acousmeaucorps at the National Stage the Manège of Reims with choreographer et dancer Milena Gilabert. As a part of the event "Les Grands Soirs du Manège N°2, Jeux d'enfants" organized by Studio Césaré. 7-10 nov 2006– creation of the installation Espaces Inutiles 1 at the School of Fine Arts and Design of Reims with a group of students. As a part of the event "The Crazy Week" (La Semaine Folle). 9 dec 2006 – Acousmeaucorps at the Saint Germain Auditorium and the Conservatory of the 6th district, Paris. As a part of the event "discovering contemporary musical gestures" of Futurs Composés. 10, 11 june 2008 – performance Deux Amériques, Reims, Palais du Tau, production Césaré. 5-25 sept 2008– residence for the creation of Révélations dune Ombre à La Filature, Mulhouse. 7 oct 2008 – dance performance my space at the Theater "The Manège of Reims"
8, 9, 10, 15, 16, 17 oct 2008 – Professional training workshop Real-time digital tools, TNS, Strasbourg. 3-5 nov 2008 – DEFEDEM workshop with Claude Delangle and Loïc Touzé, improvisation - instruments, dance et real-time processing at the Conservatory of Lille. Videos. 17-18 march 2007 – Acousmeaucorps at the School of Visual Fine Arts, Poitiers. As a part of the event "Rendez-vous à l'équinoxe". 11-12 may 2007 – creation of the theatrical performance Espaces Indicibles at the Filature, National Stage, Mulhouse. Directed by Georges Gagneré. 11-15 may 2007 – Acousmeaucorps in Metz. As a part of "Norapolis V - Exposition "UTOPIA", international multimedia festival. 15-16 may 2007 – creation of the multi-arts performance Profondeur de Champ at the Palais du Tau, Reims. Produced by Césaré. 22 may 2007 – performance of Profondeur de Champ in Châlons-en-champagne. Produced by Césaré. 1-2 june 2007 – performance of Profondeur de Champ in Nantes. Produced by Césaré. 3-12 sept 2007 – Work-in-pogress residence for Le Vent des Anches in Montbéliard, L'Allan - National Stage. 28 sept 2007 – premier of the final version of the theatrical performance Espaces Indicibles at the TNS, Strasbourg. Directed by Georges Gagneré. 8-30 nov 2007 – installation Immunosphere in Pantin, France. Co-Production "Le Pavillon" in Pantin and Césaré. 29, 30 jan 2009– music for theater - Révélations d'une Ombre à La Filature, Mulhouse. 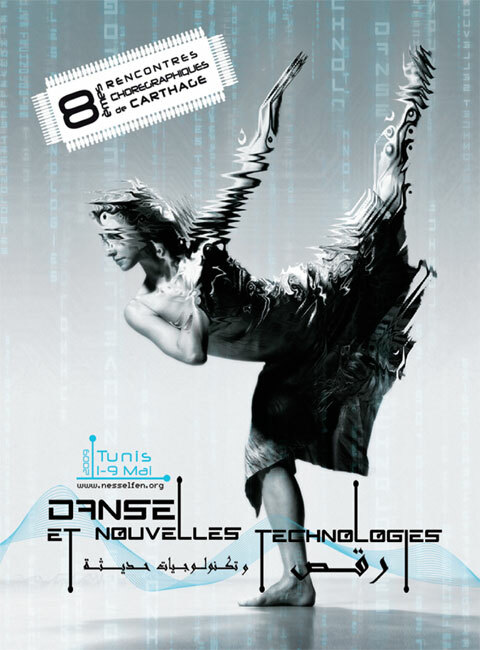 4-7 May 2009 – Workshop "gesture and sound" with Olivia Grandville at the Rencontres Chorégraphiques de Carthage, in Tunis, Tunisia. 28 may 2009 – Piece Les uns les autres for camera tracking and Wii fo a Concert of electronic music at the SCRIME in Bordeaux.